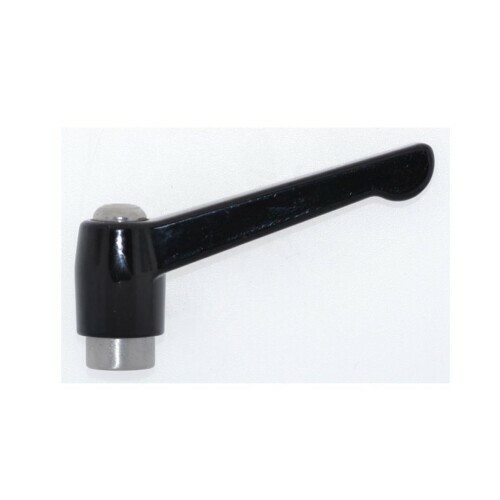 Glass fiber reinforced nylon crank handle. 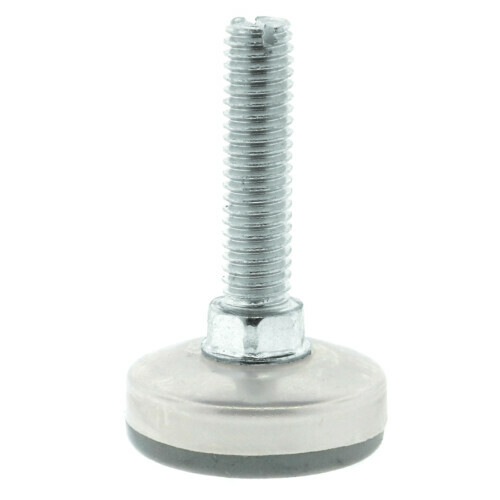 Top to bottom solid molded in steel hub is zinc plated to resist corrosion. 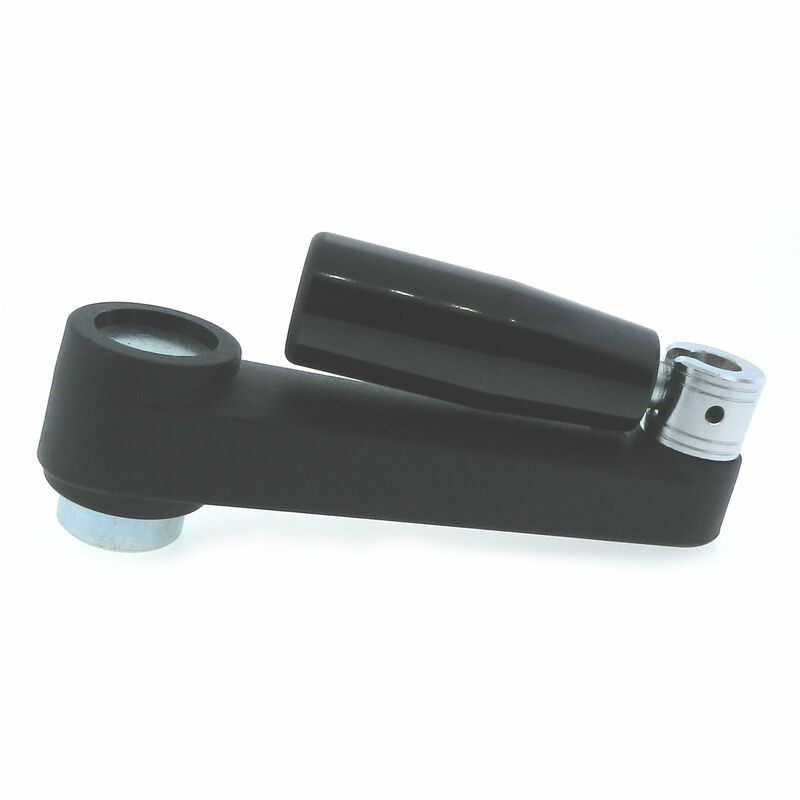 Revolving phenolic folding safety style handle. 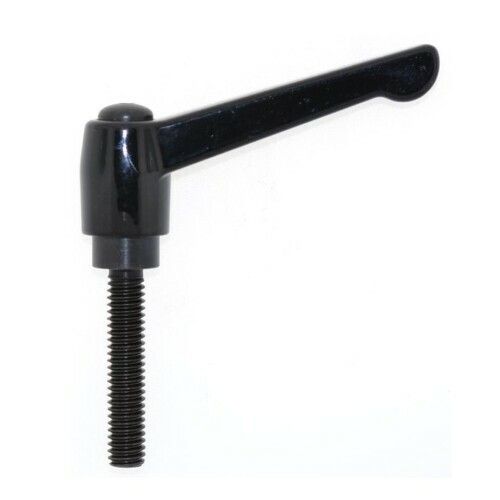 Blind pilot hole allows ICG to supply a variety of different bore sizes to fit your application. 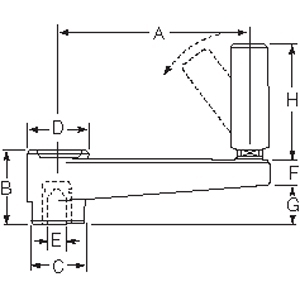 CALL FOR QUANTITY PRICE BREAKS.